Look below to find out about our topics throughout the year. Summer 1 - I Am Viking! We are looking into life as Vikings who have just arrived to Britain. We will be writing in Viking Runes, learning about their Gods, designing our own longboats and Viking Jewellery and writing our own Viking Sagas. Homework is now given out weekly within Homework books. The expectation is that this homework will be completed weekly and returned to myself by the following Thursday. There is also the expectation that children should be reading nightly and practising their times tables and spellings throughout the week as well. 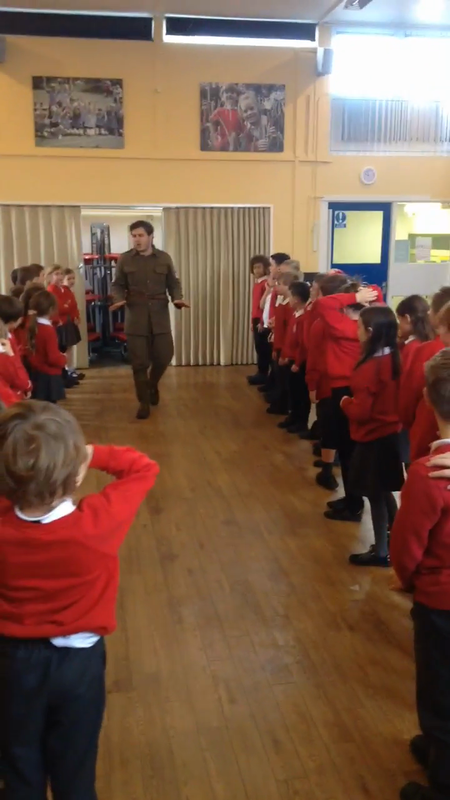 We learnt about the Whizz Bangs within the trenches and what you needed to do as a soldier if one flew overhead. 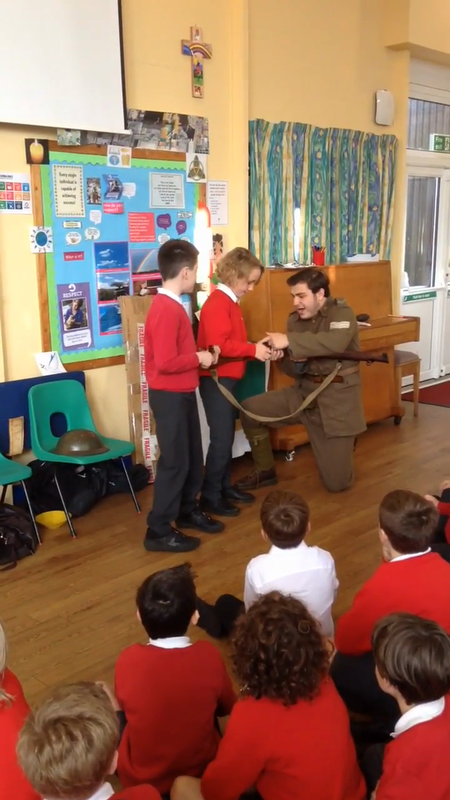 During our workshop, Jack and Jago were chosen to practise with a replica gun from the time. We welcomed Lee in to school today, who taught us all about the need to have a fire plan. The children were great at detecting fire hazards within a room. Exploring and making our own versions of Anderson shelters outside in the Forest School area. An investigation morning working with bar models to solve our additive equations. Using tissue paper and black card, the children of Year 4 have created eye-catching representations of the Blitz. Come and see them in the morning, especially when the sun pours through their designs. Over the past two weeks, we have been working towards a diary entry written by an evacuee. Below are the excellent entries written by our talented Year 4! Today, we have chosen our class representatives for the school council. All the children, who wished to put themselves forward, took time to write why they wished to be in the school council and then presented them to the remainder of the class. Well done to Nick and Ordy for collecting the most votes within our class democracy. Within Literacy, the Verbs group worked together to think about all the things an evacuee may experience on their journey to the countryside from London. These ideas will support us when writing a diary entry next week. Sketching - In class we have been looking at different sketching techniques. These include hatching, solid shading and pointelism. We have been looking at Evacuees and what they would take with them when leaving their home. We have created our own suitcases with all the belongings we would take. A haunted ash tree has gold, crinkly leaves. The leaves wilted on the ground below the tree, that was fat like a horse. The old,rotten bark was as wide and as long as a bus. One mystical night, an old, twisty tree stood in a cold abandoned forest in the middle of nowhere. It was a horrifying sight. The tree was as big as a house. It was so big that no one could reach the top. It was so twisty and turns that it was easy to sleep on. Mysteriously, the trunk of the tree was so rough, that when you touched it, it would cut your finger. The silver, bright mould would always shine on the old, bumpy tree and it would begin to glow and light up the night. ​​​​​​​Standing in the dark, a black beech tree looked horrifying when people looked at it. The solid, bumpy stump looked worse. It looked enchanted but evil. The bark was as hard as metal. The leaves were as big as a blackberry bush and a sharpened axe was leaning against the tree. 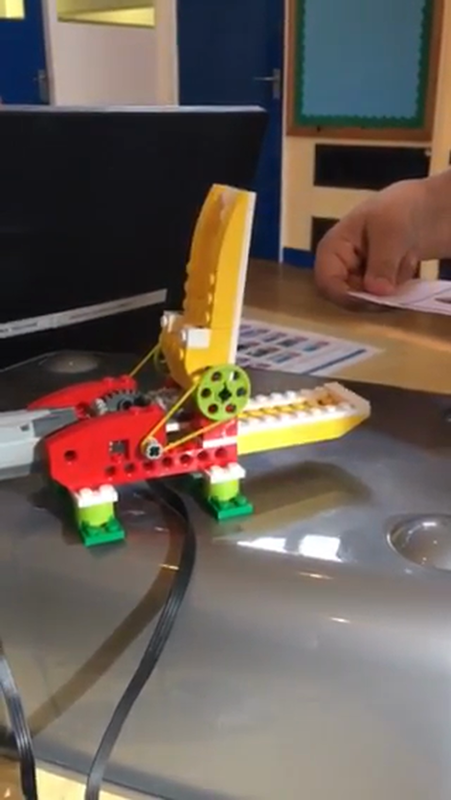 the axe had a bug cut in it and a worm was in the slit.